I thought croissants would be more difficult to make. But, if you've made puff pastry, croissants are just "baby" puff pastries with fewer turns and a rest in the refrigerator overnight. 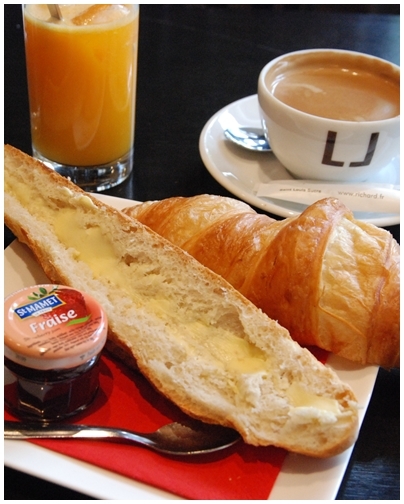 Still, I need to practice to get the perfect croissant and attain the flakiness that you get with a Parisien croissant. 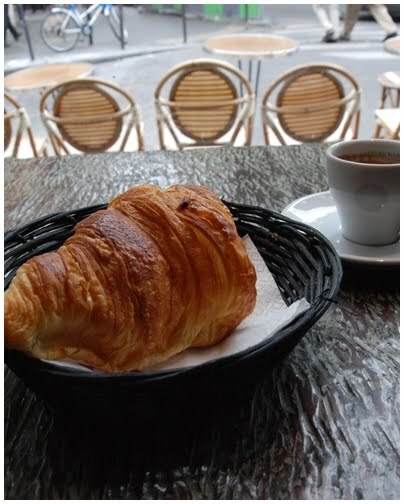 My standards for croissants are high: I expect a rich, golden, crinkly surface; I expect it to explode (quietly) when bitten into; and I expect every crumb to be loaded with butter. 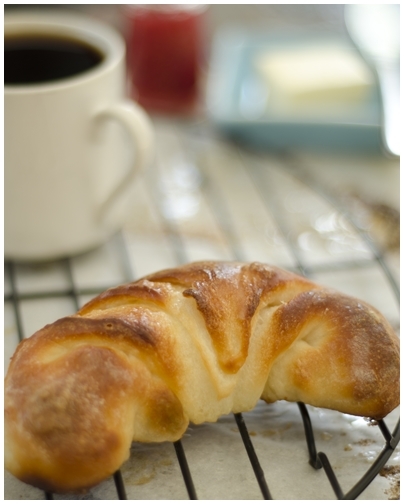 [You can find the recipe for Croissants in the book Le Cordon Bleu Complete Cook Home Collection .] You can watch this video to see the method: How to Make Croissants. With all that butter and fresh dough, what's not to love about these croissants. I will keep practicing and aim for crumb-explosion perfection. 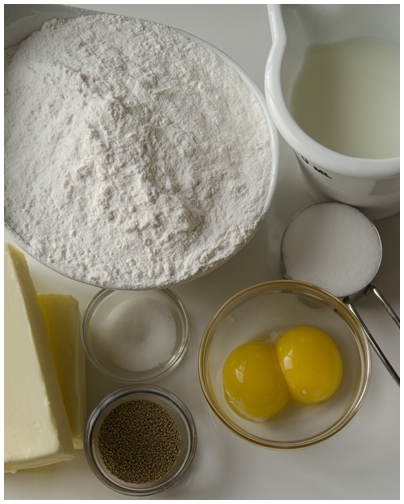 Times Colonist: To bake or to buy tender, flaky croissants? I'm baking my way through a cooking school curriculum using the Le Cordon Bleu at Home cookbook. The "classes" are based on the Le Cordon Bleu curriculum found online and used as a guideline. Not all the items in the curriculum are in the cookbook, but most are. Where the items are not in the book, I try to find a suitable substitution. Hmm...I have only tried making croissants once but they didn't work out that great. The only 2 ingredients in the puff pastry dough were butter and flour so it yielded a very dense, heavy final product. Maybe it wasn't laminated enough but I think adding the eggs and yeast would definitely help. Thanks for the recipe. These look pretty darned good to me! 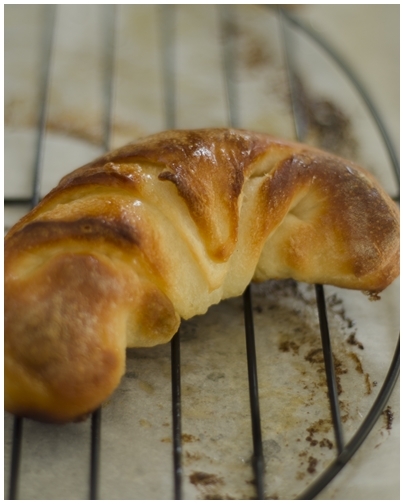 The only time I have ever made croissants was at a class at Ecole Lenôtre in Paris. It was so much work and enough to convince me that I am happy to pay whatever is costs to buy decent croissants in Toronto! I'm making these on Sunday! the starving student - you're right. Puff pastry doesn't have yeast, which makes it more difficult to make! Mardi - Ooh, a class at Lenôtre sounds amazing! Have you found any decent croissants in Toronto?